Series: I Don’t Like You At All, Big Brother!! Hikawa Hozumi burst onto the stage of Shuusuke’s life with a bang, and since then she’s told some seriously worrying stories about what her brother Kengo’s been doing to her. But is everything between them really what it seems? Kengo and Hozumi’s own family tell a completely different, equally shocking story! When it’s time for these siblings to confront the truth, sparks are bound to fly–and Shuusuke’s going to catch more than his share of the trouble. 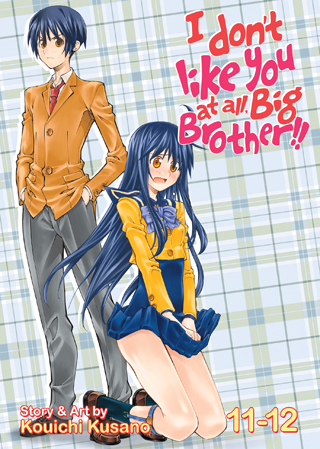 The quirky tale of big brothers and their little sisters reaches its finale!